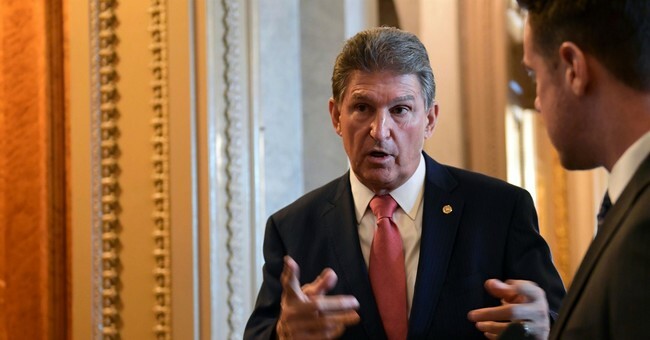 Sen. Joe Manchin (D, WV) announced today that he is throwing his support behind Sen. Susan Collins (R-ME) in her re-election bid. The prominent Democrat even promised to hit the campaign trail in 2020. Collins has faced enormous amounts of backlash from the far-left since she voted to confirm Justice Brett Kavanaugh to the Supreme Court of the United States. Collins’ seat is certainly a hope for Democrats in 2020 as they seek to take back the Senate, but the left has made Collins a target since the Justice Kavanaugh’s hearings. The senator and her staff received numerous death threats from anti-Kavanaugh lunatics, and even received coat hangers in the mail from left-wing feminist groups who were unhappy with the potential for Roe v. Wade to be overturned, even though Justice Kavanaugh made it abundantly clear that he would not vote to overturn the law of the land. Senator Collins even received an envelope filled with ricin, attached with a letter citing her ‘betrayal’ to the state of Maine. The woman who purportedly sent the dangerous letter was charged this week and could face up to 10 years in prison. Despite the backlash from the left-wing mob, Senate Majority Leader Mitch McConnell and the rest of the GOP majority have stood firm behind Collins. Manchin’s across-the-aisle olive branch, although unprecedented, is an exemplification of bipartisan unity among the few moderate senators, and a rebuke of the far-left’s treatment of Senator Collins based on nothing more than identity politics.